Outlook OST to NSF Converter is a tool that first recovers and then easily converts all the MS Outlook OST files into NSF file format. This application supports all the versions of Windows operating system, which includes support for both 32 and 64-bit. This tool makes it possible to transfer Outlook OST files into NSF format. It keeps the attributes intact and converts attachments without a single modification in it. The tool converts inbox, deleted items, sent items, and all the other folders present inside OST file. MS Outlook OST Files into NSF File Converter grant users to perform a very quick scanning of OST files and then loads all the mails available onto the software interface. After this, users can click on the desired folder and preview its items along with the attachments very easily. One of the best features of this software is that it allows users to export the files as per the requirement. Users can migrate a complete folder or can only export the selective OST files for the migration process in bulk. Users can check or uncheck the items and proceed further. Export Outlook OST to Lotus Notes NSF files Converter is marvelous software and it has a very simple interface that anybody can use it. All the features are listed on a single panel. This is the reason, which makes the software less complicated and easy to understand. Astounding, unbelievable, and must use, this is all I would like to say about OST to . This tool deserves all the applause for its working. It has a very easy to understand interface. Therefore, anyone can easily access the tool. Bravo, to the whole team for inventing an incomparable tool. I am writing this review to let the people know that there is a trouble free solution of migration from OST File data in NSF file format. I would like to recommend Outlook OST files to Lotus Notes Converter tool to every user. I have used the tool and found it so nice. Thanks, to the developers’ team. At times, the need of the migration arises from Outlook OST files. 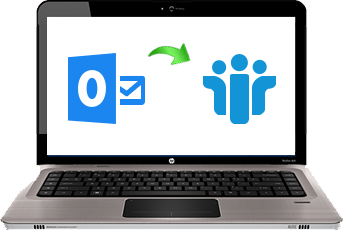 It is possible that a user is switching the organization and the user required all the data of MS Outlook in Lotus Notes. It is like a challenge for a user to transfer the data. Therefore, to make this task less complex and effortless, this tool has been designed. Some more important thing, it can recover corrupted Outlook OST files into Lotus Notes NSF files. What is the Need of OST to NSF File Conversion Tool? As mentioned above, the requirement of the tool occurs when a user want to convert & recover corrupted Outlook OST files into Lotus Notes NSF files. NSF is the default file format of Lotus Notes. Therefore, the data has to be migrated in NSF file format so that it can be accessed in Lotus Notes email application. MS Outlook OST to resolves all the problem of a user in this situation as it comes with so many amazing features. Scan and load multiple OST files at once. Unrestricted OST file Conversion to Lotus Notes. Easily transfer from OST to NSF, once all the OST files are scanned. Store the exported data in desirable location.